Even in the darkest of times…….. | Precious Thoughts! 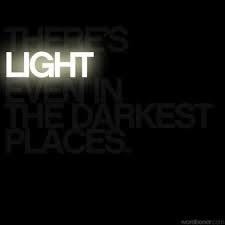 Even in the darkest of times……..
Hello, How has your week been? I’m sure you’re looking forward to a lovely weekend. I’ve just got a lil’ something for you this weekend, courtesy of Ms Francisca; who has decided to share her story with us and most of all; to encourage us with it. It happened sometime ago, I lost my irreplaceable mother. Long before she passed on, she suffered a lot of’ illnesses and things were pretty hard for the family. We were finding it difficult to attend to some basic needs including my Mum’s hospital bills. I suffered a lot of emotional trauma as the only girl. (From low self esteem to poverty) this went on for a while and she passed on. It was worse for me because her constant illness never gave her time to teach me some basic things I needed to learn from her as a woman. I ended up learning these things elsewhere. But God showed himself mighty, soon after she passed on,a lot of breakthroughs manifested. Though, I was wondering why everything happened after her death, but who am I to question my creator? My dad immediately got a very great job, we [the children] have all graduated from the university except our last born, people that despised us because we had nothing to offer then, now want to associate with my family. Personally, I cannot fully express the happiness & joy I feel everyday, everyone that has crossed my path, has benefited in one way or the other. God is using me to touch a lot of people through my personal experience( I give Him all the glory). God has always been on our side,victory songs have never ceased from our mouth. Indeed everything is now beautiful. I miss my Mum everyday but I know her death occurred for a reason, just like Jesus Christ that had to die for us to be free from sin. Wherever she is, I know she’s happy. I just want to use this opportunity to reach to someone out there going through a similar experience, Hold on & Hold tight. At first, it may seem like the world is coming to an end but it won’t! The plan He has for you, are of good and not evil to give you a future and a hope. Remember God is still saying something in the midst of the trials. It doesn’t matter how u started the journey, remember the end will be better than the beginning. Stick to God, He won’t leave you nor forsake you. Let us remember Isaiah 43:2- ‘when you pass through the waters, I will be with you; and when you pass through the rivers, they will not sweep over you. When you walk through the fire, you will not be burned; the flames will not set you ablaze’. Your most effective ministry can emerge from your most painful experience! Do you agree?